Last minute decision (and thanks to a misunderstanding) I’m attending the GNOME Boston Summit and will use this opportunity to build a sales presentation for GNOME technologies geared towards device manufacturers. 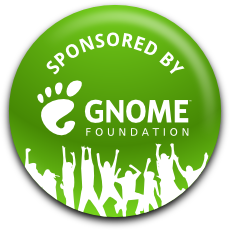 The GNOME Foundation is again financially helping me to go there, as they did for GNOME.Asia Summit. It’s pretty interesting to see the latest directions in GNOME Shell and be part of discussions about what effect could be integrated here and there and listen to people giving feedback on the various issues left before the final release. I’ll probably blog more the conference tomorrow or the day after tomorrow. Last but not least I’ll use this opportunity to meet up with SFI board member, founder and treasurer, Matt Oquist as he lives about 3 hours from Boston and we’ll be talking about Software Freedom Day. That’s pretty exciting all by itself as we’ve been talking and doing things together for over 3 years now without even meeting each others.